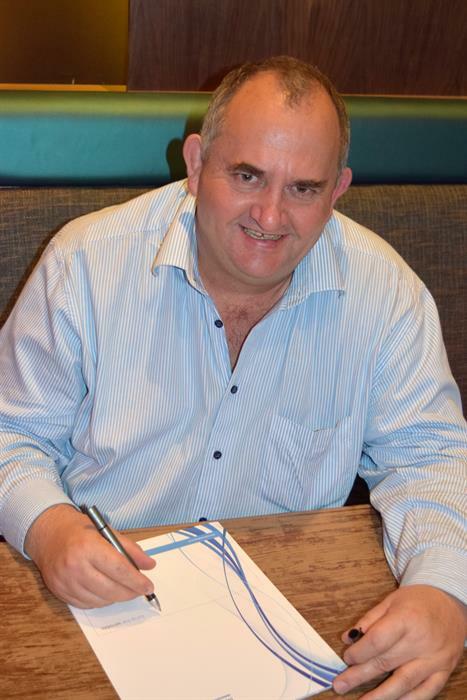 MOSSEL BAY NEWS - Newly-elected Mossel Bay Business Chamber chairman Fanus Truter has exciting plans for business in the town and he is thinking long-term. A director of Moore Stephens accounting and consulting firm, Truter would like to see more events taking place in the off-season. He advocates a synchronised calendar of events so all stakeholders can see at a glance what is happening. All these events present opportunities for businesses, whether they be for branding, networking, marketing or opportunities to supply products and services. Even school sports days are important. Truter would like to see a billboard in town, with a rolling calendar of events. There are already a number of events on the chamber annual calendar about which members have been appraised. Truter would like to see the creation of tourism that happens throughout the year, not just the peak season. Also high on his list is creating a platform where Mossel Bay is promoted as a conferencing venue. "There are always people going to conferences. Mossel Bay has many conference venues. As businesses, we want to be the middle man creating these opportunities and stimulating and creating a knowledge base. "We as businesses and institutions in Mossel Bay can help by holding functions and events in the off-season. Year-end functions could be moved to the middle of the year. There is more accommodation available in the off-season and you don't have to compete for space with people who want to get married in November and December." Truter says one of the key events planned by the chamber is a business opportunity summit for 2 to 3 September and well-known journalist, radio presenter and TV personality, Freek Robinson, has already agreed to be the facilitator. Truter explains: "We want to get large corporates, such as the banks; local government; provincial government; the large private corporate sector; and large business to tell us their long-term plans." There will be three themes: agriculture, tourism and energy (oil and gas). The development of the harbour area will also be on the agenda. "We will have strong speakers and hold breakaway discussion sessions, in which all role players can brainstorm. Then there will be a panel discussion, which Freek will convene. "We want to establish what needs there are for business in Mossel Bay, so we can guide new entrepreneurs." A feedback and follow-up session will follow. Truter's aim is for the summit to be practical, so business people walk away with a game plan. There will be an opportunity for a company to be the main naming sponsor for the summit and other branding and publicity opportunities at the various sessions to be held. Evening functions are planned as well. Truter wants to expand the chamber's slogan from "Buy local" to "Buy local and sell global". He says larger businesses are looking for the opportunity to buy locally and want to know if small local Mossel Bay businesses can supply them. He stresses that chamber functions are an ideal platform for large and small businesses to connect. "What services or products are businesses buying from outside the town that can be delivered here or manufactured here? "Before we try to say to people, 'Start a business', we need to know what the need or demand is here and every sector is important." Besides Truter, the following are on the chamber board: vice chairman Dr Paul Kruger, a dentist and owner of Eden Biofuels, Werner Kok of the ATKV, Nico Marais of the law firm, Oosthuizen, Marais and Pretorius, businessman Johan Nel, Hennie Burger of M Sec Security, Marika Thomatos of Munro Manor Guest House, Marie de Klerk of the ACVV, Daleen Thomson of Terblanche Properties, businessman and multiple restaurant owner Albert Wiffen, real estate agent Blackie Swart and chamber liaison officer Jeanetta Marais, who is a marketing and tourism consultant. Truter highlighted the role of the chamber as a "channel to council". He said the chamber would continue to lobby council on behalf of businesses and it would maintain good communication with local and provincial government. "Also, we are working with other business chambers in the Southern Cape. We don't work in a silo. We're looking at the Southern Cape as a whole." Discussing the economy in Mossel Bay, Truter says, "Retrenchments and early retirement packages being given in the Mossel Bay area and in the rest of the country could benefit the economy. People spend their lump sums on vehicles, for example. "It has been a good year for some farmers and they have money to spend. Many businesses benefit from farmers. "Also, the baby boomers come and retire here." He wants Mossel Bay to be the number one retirement destination for retirees. Also positive for Mossel Bay is that the IDC is looking for opportunities in the Southern Cape. Truter says he has met with the IDC. "The director asked me what business we can send it from the Southern Cape. This is positive." Truter is planning for the IDC marketers to come to town for a meeting. Noting the importance of farming in the Mossel Bay area and the harbour, Truter says: "If it weren't for the ostrich and wheat farmers, the harbour would not be here. We want to look at avenues to optimise the use of the harbour, but it should be done with the minimum interruption to business. "We want to hear what council's short- medium- and long-term plans are for Mossel Bay. This is not unrealistic. How does it see Mossel Bay in 50 years? We need to give children in school here a vision and ensure there are opportunities for them." No stranger to the Southern Cape, Truter grew up on a farm in Heimersrivier. between Oudtshoorn and George. His parents farmed livestock, sheep, ostrich and wheat. After attending Outeniqua High School he went to Pretoria University, where he completed a BCom Accountancy. He did his articles at PricewaterhouseCoopers, at that stage called Theron Van der Poel. Instead of military service, he took the option available at the time of spending four years (instead of the army's regulatory two years) at the Receiver of Revenue. Truter moved back to the Southern Cape and continued his military service / internship in George, where he was based from 1990 to '97. He started his own auditing firm called Truter Lategan. In 2000 his firm was asked to join the PricewaterhouseCoopers group. In 2008 Truter joined five other directors as a director. Truter then joined the firm, Meyer Otto, and in 2013/14 it became affiliated to the international Moore Stephens group of auditors. Moore Stephens MO (Meyer Otto) has a branch in Mossel Bay and one in George, the two together comprising 60 personnel including the directors.